In this Section we'll talk about all the concepts you need to know before we dig into actual programming of cues. We'll talk about Why it's worth doing this, and provide a basic gear list. Does Ableton Natively send it? 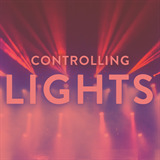 In this course you’ll learn how to use Ableton Live to Control lighting.